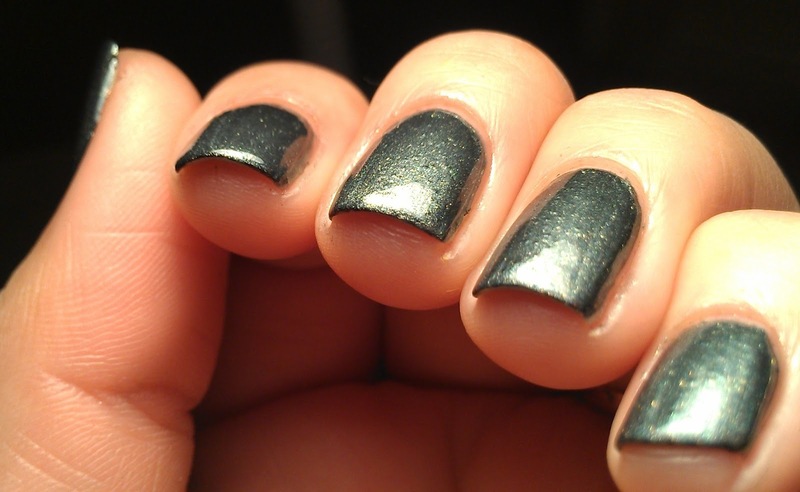 I have two really neat polishes to show you guys today! Nail the B.Y.T.C.H (Be Your True Creative Heroine), is a company created by two cousins, I thought the company name was very creative and interesting you can read more about it HERE. They don't have a large selection of polishes but the ones they have are really great colors and perfect for Spring/Summer! The polishes have a catchy name and they come with a little quote to go along with the name. Also these are 3 Free! 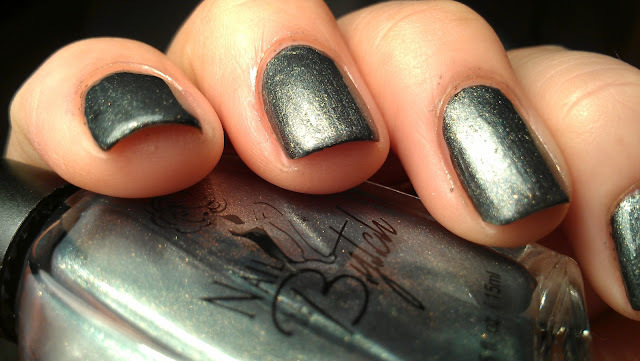 First we have Little Perfection Confection -"This silver shimmer is more than just glimmer! She might say she's got it all together baby with a twinkle in her smile." This is a gunmetal gray with some awesome shimmer :) The pics here show it layered over WnW Black Cream! Tasty Pasty's "Sweet lil cotton pink isn't she! Is she all sugar no spice, hmmm...Not with a name like Tasty Pasty's. 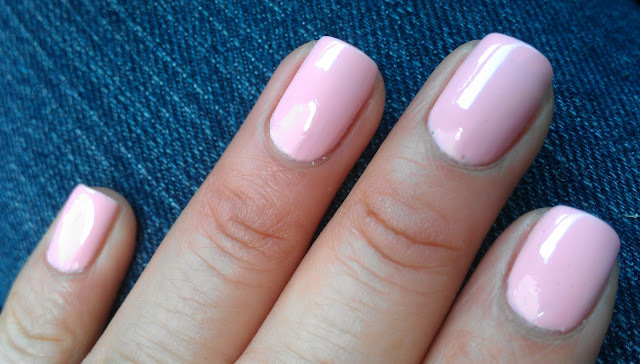 This pink is a tad naughty." 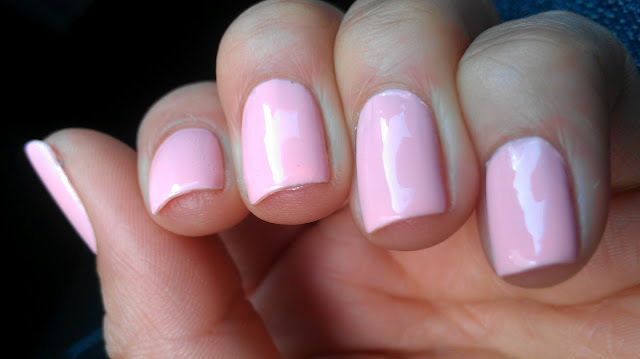 This one is an awesome shade of salmon pink, I loved how this one looked against my skin tone. 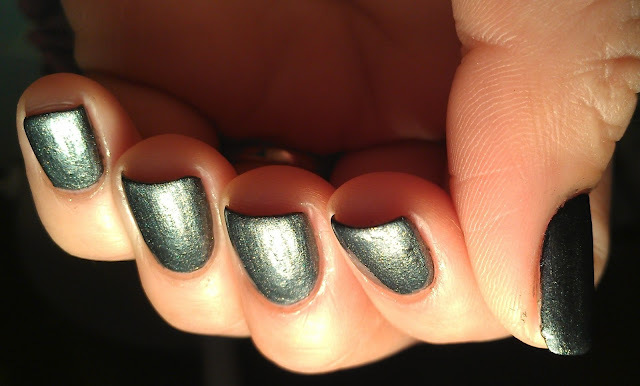 Formula wise they were both great, for this one I did 3 thin coats and it dries very shinny. 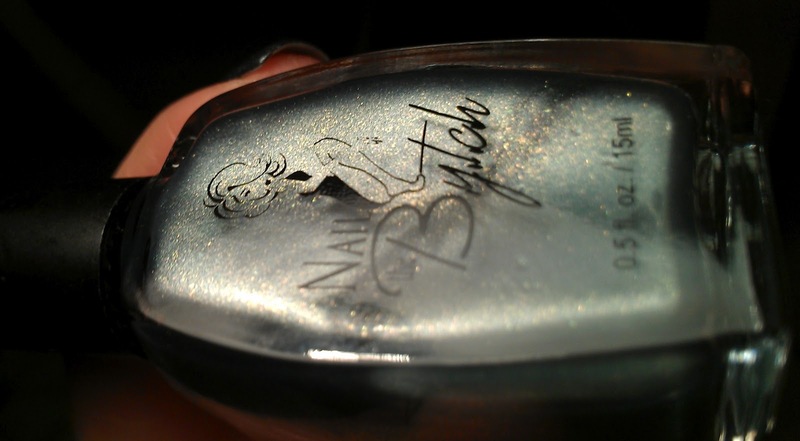 Wear is good, I had it on for about 3 days with minor tip wear. These retail $6.00 each which I think it's a great price! You can purchase these at Nail the B.Y.T.C.H website HERE! Hope you guys have an awesome day. I like both colors and the price is not bad at all. Interesting--I've not heard of this brand before; will have to check it out. Pretty! The pink looks so good on you. Love the name, so funny!! Never heard of this before but they look pretty. what a cool polish brand, I like both colors, will for sure check them out. I love the first one! I have to try it! These are both gorgeous but I really like that pink! And I agree, it does look great on you! I love that pink! The description is adorable!